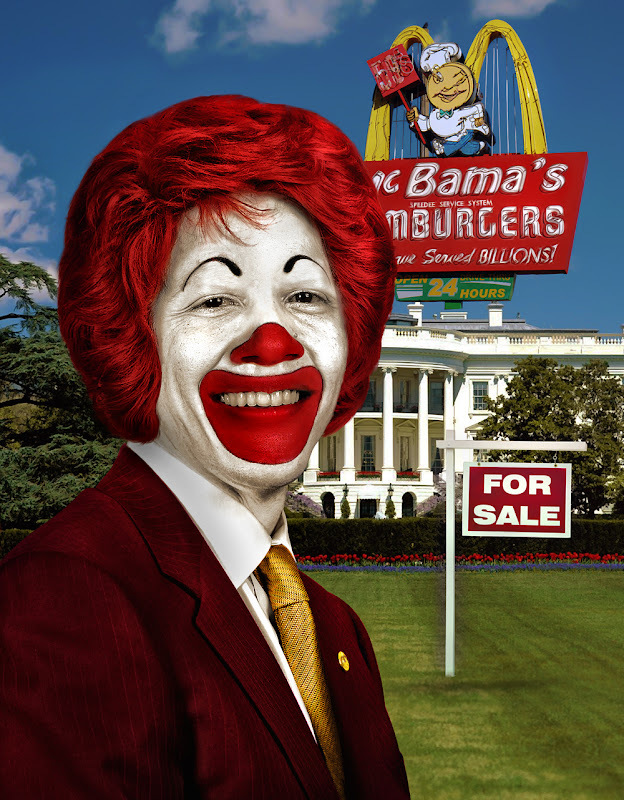 Facing the recent stagnant employment figures, the McWhitehouse's leading clown announced a dramatic employment plan. All Americans will be outsourced as hamburger flippers and fry cooks to Asian interests, until trade debts are balanced. The Labor Department said Friday that the unemployment rate last month remained at 9.6%, but that reflected a stagnant labor force in which people did not enter or return to the labor market to look for work. In what may be a more meaningful indicator this time, a broader measure of unemployed and underemployed workers, including part-timers who can't find full-time work, rose to 17.1% last month from 16.7% in August.